I have such fond memories of traveling in a very small vintage trailer behind a station wagon! At Christmas time my mother turned our little traveling abode into something magical and sparkly for the Christmas Holidays! A small but real tree decorated in lights, a Christmas wreath on the door, little ornaments that twinkled when the lights hit them a certain way. I can close my eyes and see this wonderful scene every time I think about it. 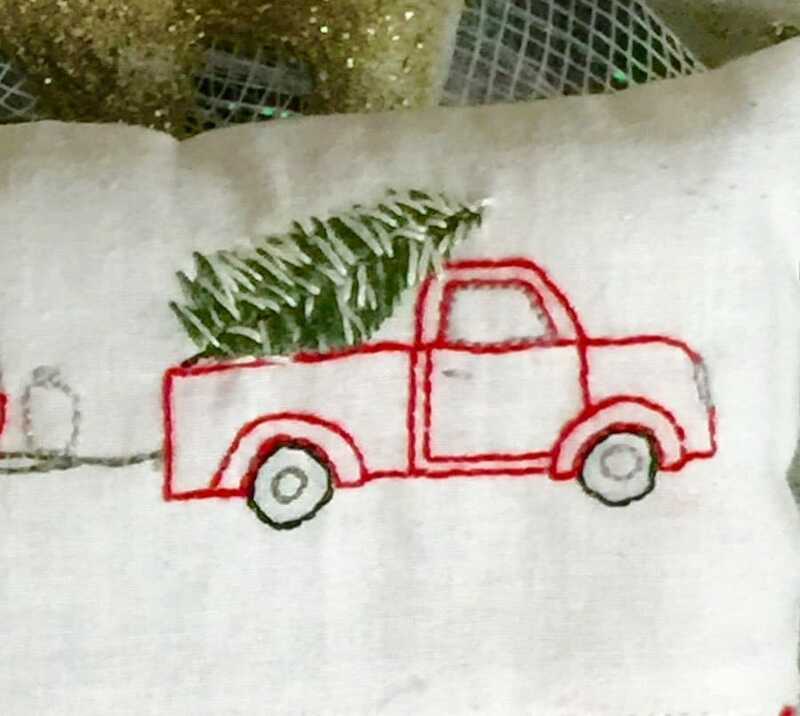 This camper and truck are heading to friends and family for the Holidays. The tree is freshly cut, and covered with a light dusting of snow. 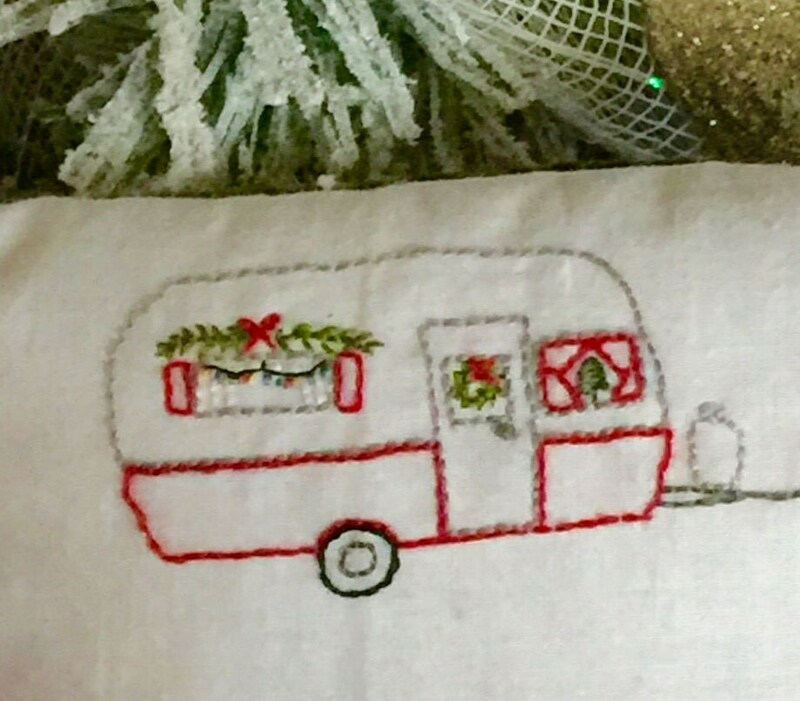 The camper has little twinkle lights, a wreath and a small Christmas tree inside, ready for the festivities. When creating this little pattern, I knew it represented something wonderful for me. It is very simple to stitch. A backstitch which is a basic and very elementary stitch, that anyone could do. There are easy directions with pictures showing each step. Once the stitching is completed, the design is sewn into a very small pillow/ornament. Lace, rick rack, buttons and bows are added to complete the pillow. 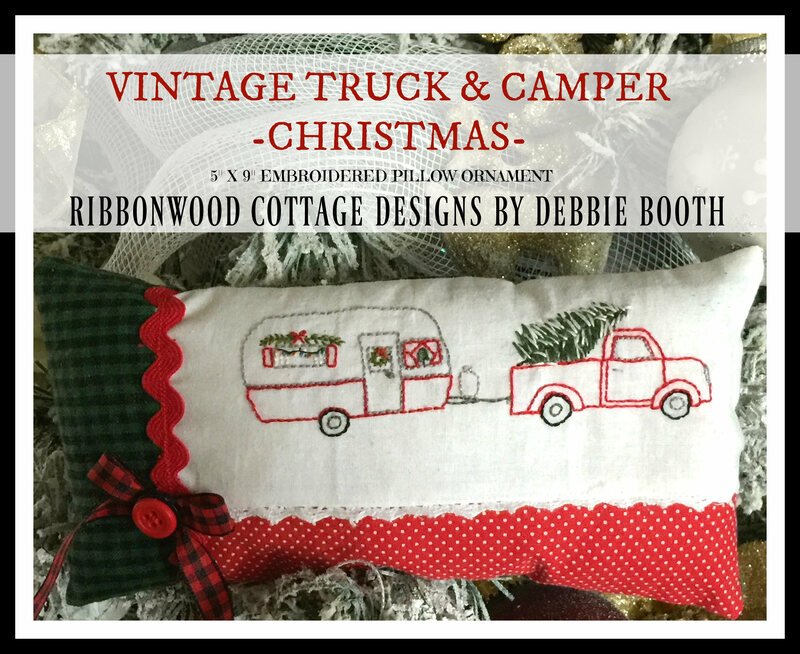 It is perfect for Christmas and perfect for additional decorating in a little nook or cranny. I just loved making this and hope you enjoy stitching it. It is small and can be completed in a short amount of time. That was a key element for me in making this design. I wanted it to be fun and enjoyable and something that could be completed and added to the Holiday decor. 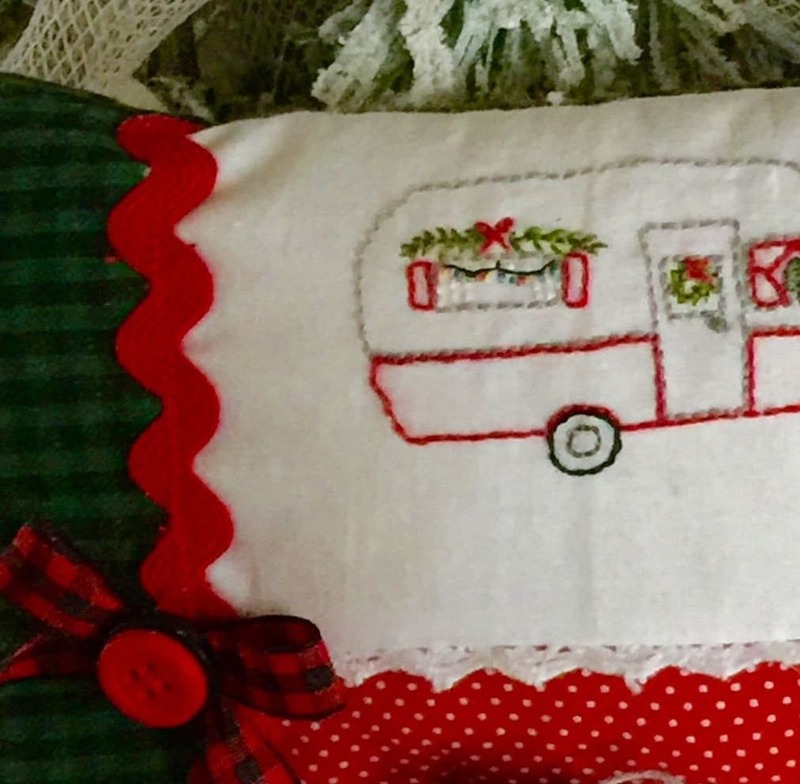 Traditional colors were used for the embroidered part of this pillow ornament but other color choices could be used as well. This is a downloadable pattern, once the transaction is complete the file for this pattern is immediately available. Nothing physical will be mailed to you.